An Edgar Award-winning mystery featuring the forensic anthropologist hailed as "a likable, down-to-earth, cerebral sleuth" - from the author of Switcheroo (Chicago Tribune). "With the roar of thunder and the speed of a galloping horse comes the tide to Mont St. Michel", goes the old nursery song. So when the aged patriarch of the du Rocher family falls victim to the perilous tide, even the old man's family accepts the verdict of accidental drowning. But too quickly, this "accident" is followed by a bizarre discovery in the ancient du Rocher chateau: a human skeleton, wrapped in butcher paper, beneath the old stone flooring. Professor Gideon Oliver, lecturing on forensic anthropology at nearby St. Malo, is asked to examine the bones. He quickly demonstrates why he is known as the "Skeleton Detective", providing the police with forensic details that lead them to conclude that these are the remains of a Nazi officer believed to have been murdered in the area during the Occupation. Or are they? Gideon himself has his doubts. Then, when another of the current du Rochers dies - this time via cyanide poisoning - his doubts solidify into a single certainty: Someone wants old secrets to stay buried...and is perfectly willing to eradicate the meddlesome American to make that happen. 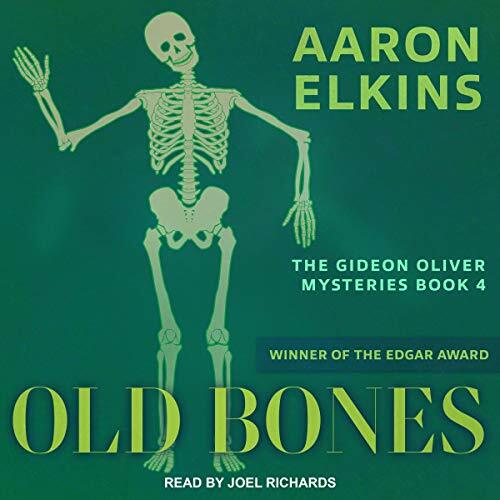 Voted one of the Independent Mystery Booksellers Association's 100 Favorite Mysteries of the 20th Century, and featuring "a thrilling final scene", Old Bones will captivate fans of Kathy Reichs and Tess Gerritsen as well as readers of Aaron Elkins's popular Alix London series (Publishers Weekly).